It's Back! 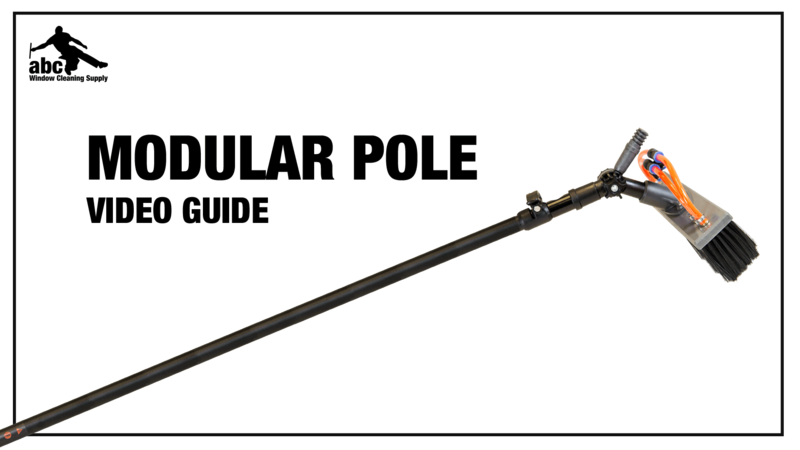 The abc Modular WaterFed® Pole is back! The sections of this pole fit together in a modular fashion (as opposed to telescopic). This allows the worker to carry around only the sections needed at the time, further reducing weight. Sections are numbered for easy assembly. All abc Modular poles come with a free carrying case for easy, safe and reliable storage. 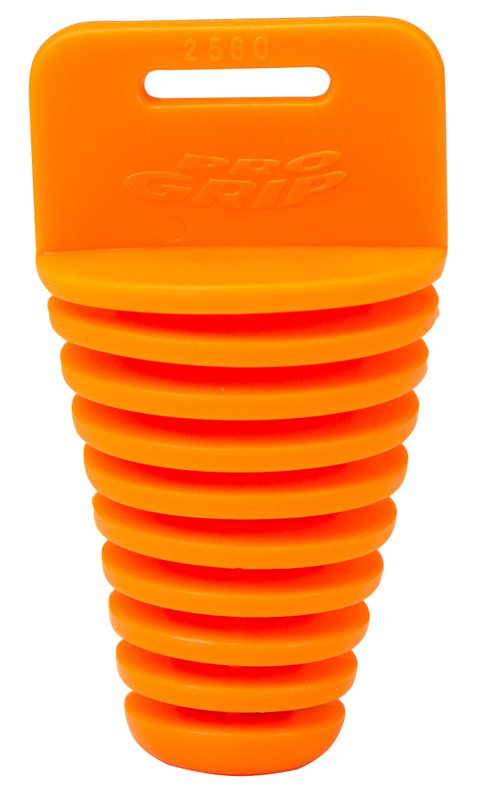 This rubber plug comes with every Triple Crown Modular Pole. It is plugged into the bottom section of the pole to protect the open section from bending. Looking for Replacement Parts or Modular accesories? with standard pencil jets AND deluxe fan jets pre installed. 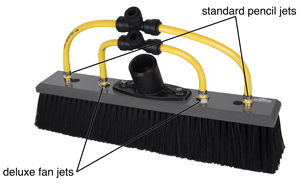 Block Dimensions: 3/4" x 2-1/2" x 10-1/2"
Bristle Dimensions: 1-3/4" x 3" x 11"
Pole come with the fittings you need to hook up your pole to a pure water cart. Both the quick-connect hose fitting and the quick-connect shut-off valve are included. The shut-off valve connects to any standard male garden-hose fitting. I would not have been able to complete my job without this awesome pole. I would not have been able to complete my job without this awesome pole. The sheer quality of stiffness seemed uncanny. I purchased extra pole lengths to complete the job it was used for without the need for a lift. The poles nearly fused together on every use, and fully required someone to hold each section with both hands and braced while another person of "equal" strength to rotate and pull each section apart. The mold release is a must, but overall they virtually fuse together on every use. My wife and I cannot separate them ourselves, and it requires another "strong" individual to break them loose. Sometimes I have to hold the sections so hard that I can actually feel the tube buckling. I just had to repurchase section 3 because of this. The smaller sections fuse the hardest. I did notice that the entire length of the pole changes after a little use. Each section digs a little deeper with each use, and after about an hour, my pole starts to loose inches in total length; which becomes the new total length. My 55 foot pole assembles closer to 53 foot now after about 150 windows. I have had a few different poles through the years, over all this one is my favorite. Fully extended it is much stiffer than others and the modular system is easier to work with once you get used to it. It does not have the issues of the clamps wearing out (which always happens eventually) like telescopic poles. If a section breaks it's simple to order another. The only problem I have had is that the sections sometimes bind together and it takes multiple hands to loosen it, this is also an easy way to break a section so be careful the lubricant doesn't always work.